I really thought I'd write more stuff for Bostonist, but I'm trying to keep this thing current and do the other stuff in my life. Maybe I can drive some of my massive traffic their way. Do you like Brazilian Girls? I interviewed Sabina (the only girl in the band). I wish we could've been in the same room; it would've been a better interview. C'est la vie. Everyone loves a Clark Rockefeller story. 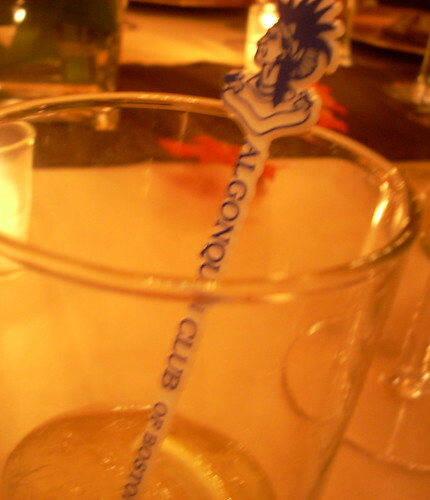 I went to a wedding at the Algonquin Club and bugged people about him until someone told me he was a nut. BTW: You wouldn't believe how close I am to having a full weekly Cheap Thrills list! Stay tuned.